Our consultations are by appointment and are comprehensive. We allow 20 minutes to ensure we have the time to get to know both you and your pet. 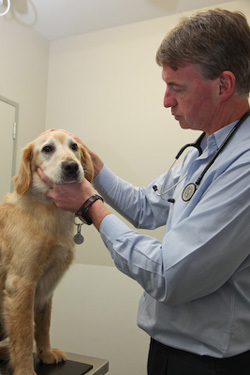 During this time your pet receives a full clinical examination. Whilst it is always better to see your pet at the clinic, home visits are also available. In addition to looking after cats and dogs, our Vets and Nurses are well trained to care for the veterinary needs of rabbits. We have a close association with a number of specialists and consult with them on a regular basis for the more complex medical and surgical cases. Referral to a specialist may be the best course of action for your pet.